Last week I participated in the International Federation of Agricultural Journalists (IFAJ) Congress in Ontario, Canada. The congress theme, Experience New World Agriculture, showcased how Canada’s relatively young agricultural sector (compared to many other IFAJ member countries) is making a place for itself globally. The event began in Guelph, a hub of agricultural research and innovation, where we spent a day learning about Canadian agriculture. A fun fact for you: Agriculture and Agri-Food Canada estimates that the agriculture and agri-food industry accounts for 8.2 per cent of Canada’s gross domestic product and provides one in eight jobs. Speaker Jay Bradshaw, president of Syngenta Canada, talked about the world’s most pressing need: to feed nine billion people by 2050. Speaker Richard Doyle, executive director of Dairy Farmers of Canada (DFC), discussed a number of issues related to the Canadian dairy industry such as supply management, international trade and government regulation. This was followed by five snapshots of the major agricultural regions of Canada – British Columbia, the Prairies, Ontario, Quebec and Atlantic Canada. I came into the conference thinking I knew quite a bit about Canadian agriculture, but soon discovered just how much I don’t know. I may be familiar with agriculture on the Prairies, but the rest of the country is another story. While the Prairies are home to big fields of cereal crops and oilseeds, Ontario boasts diverse specialty crops such as apples, grapes, peaches, maple syrup and much more. From Guelph we split into groups and went in three directions on various agricultural tours, appropriately named the Lake Ontario, Lake Erie and Lake Huron tours. I was on the Lake Ontario tour, which travelled east of Toronto to Prince Edward County and stopped for the night in Belleville. I’ll go into more detail about the ag tour in a few subsequent blog posts and I’ll also share several photos from the tour. 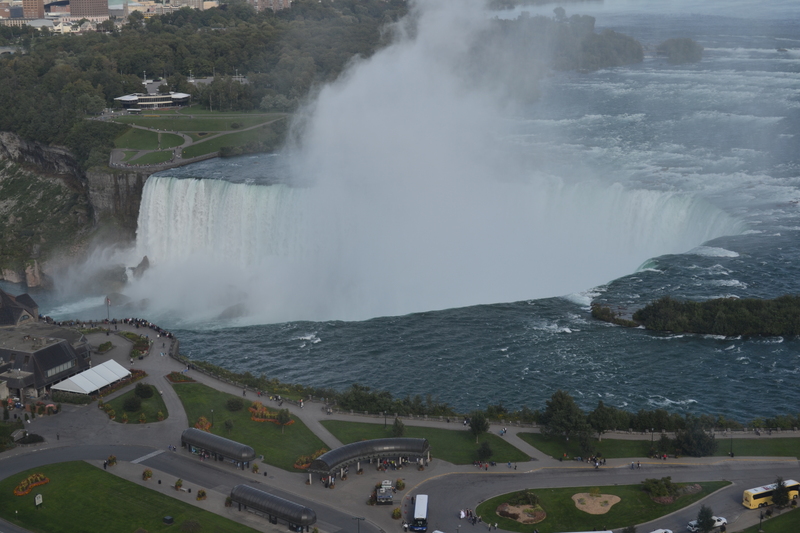 After the tours, we all met up in beautiful Niagara Falls where we stayed at the Marriott Gateway on the Falls. 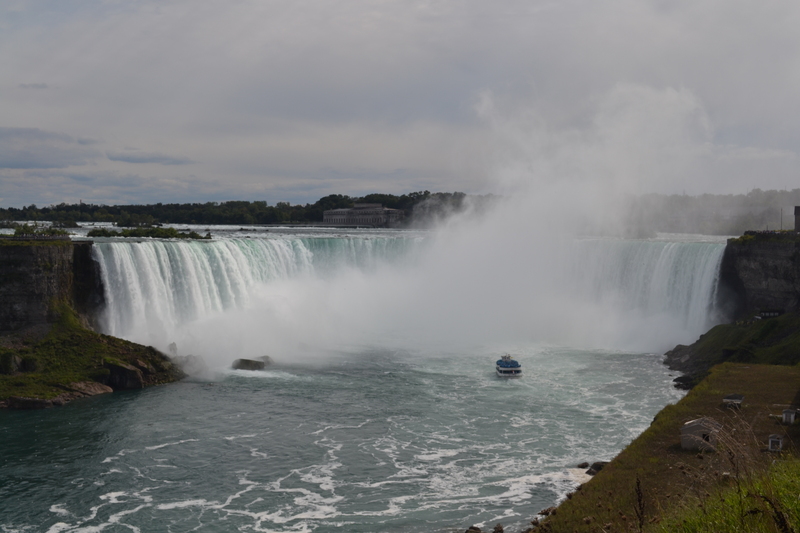 The photos below are from Niagara Falls. The view of the Niagara Falls from our hotel room (27th floor of the Marriott). 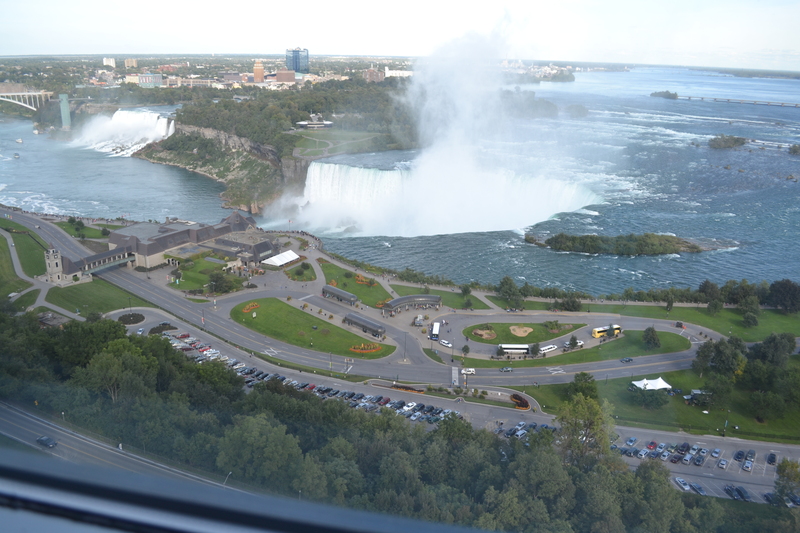 The view from our hotel room of the Canadian Falls. 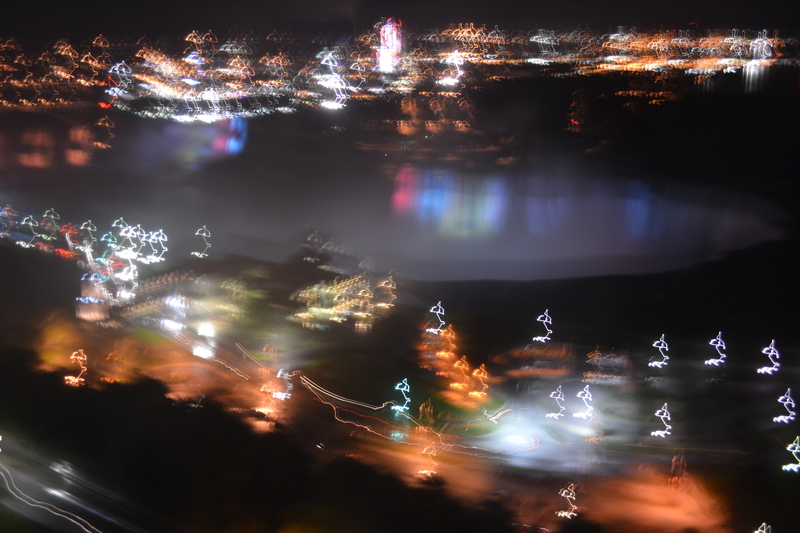 A cool night shot of the lights on the Niagara Falls. As if all the professional development and education wasn’t enough, I was also able to meet many agricultural journalists and communicators from around the world. More than 260 delegates from approximately 30 countries were in attendance. I made new friends from Sweden, Norway, Finland, Ireland, Germany, Argentina, South Africa, Slovakia, Australia, New Zealand, China, Japan and the United States. And yes, there’s more… I also met many of my Canadian social media friends. These are my colleagues in the ag industry who I’ve gotten to know through Twitter or blogging. I was finally able to put a face to the Twitter handle (a Twitter handle is your username, for example mine is @teresadfalk). In the future, I hope to meet many of my other social media friends. And don’t forget to read my next few blog posts on the IFAJ ag tour. Sounds like you had a fantastic time. The pictures are great and congrats on your award. Thanks Crystal! I appreciate the kind words. Excellent synopsis RRR, and congratulations on your video award. I hope you were as proud of our CFWF colleagues as I was, watching them deliver their regional perspective on agriculture. Thanks Owen! 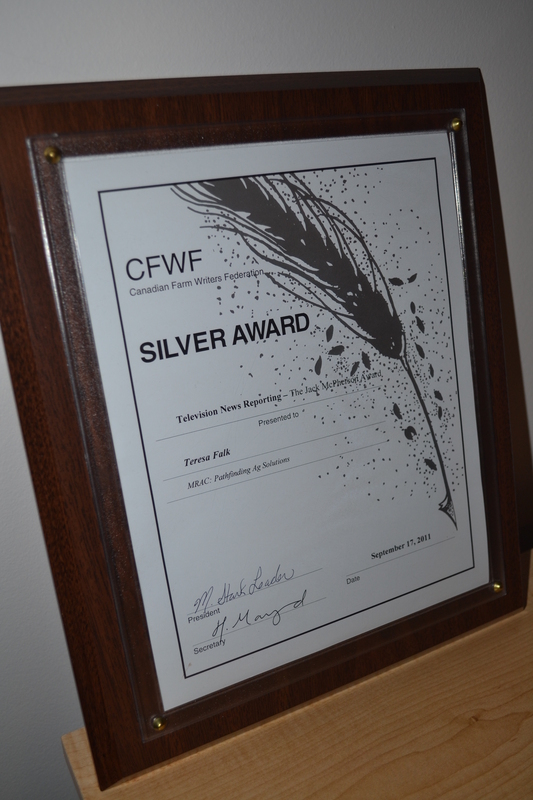 Yes, our CFWF colleagues did a great job of presenting their regional ag reports. I’m sure our international friends found the presentations very interesting. Teresa, sounds like you are having a great time out of province! Congratulations on your award. That is really great. Thanks Ruth! I appreciate your kind words!